I found the original recipe in “America’s Test Kitchen Healthy Family Cookbook” and then tweaked the heck out of it. I know, I know, it’s hard to improve on a recipe from ATK but I did, and I am glad! I’ll add some asterisks to the items I improvised on so you can either make it the way it was originally intended, or my version. 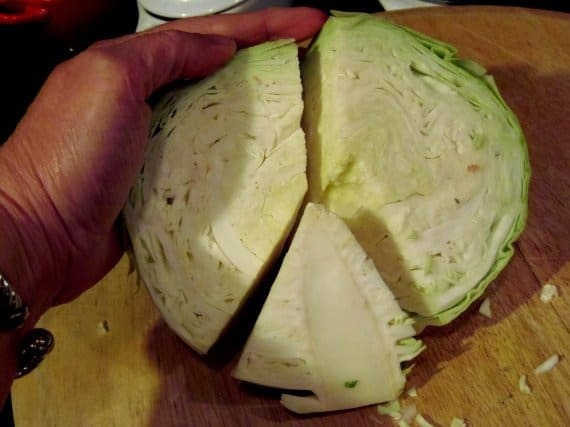 I recommend my version as it probably will add only a few extra calories per serving… but only a few as I’m being very mindful of cooking healthier these days. 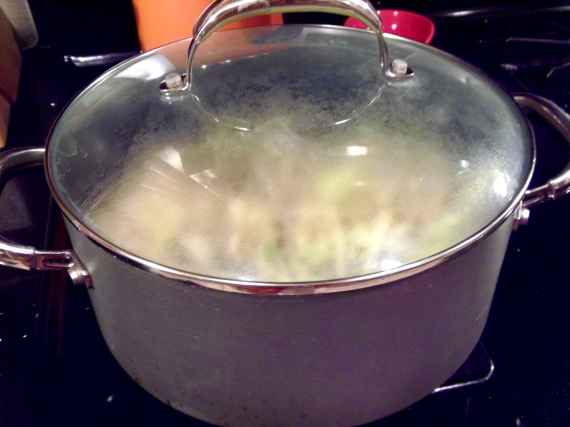 -In a large Dutch oven, add the canola oil over medium low heat. 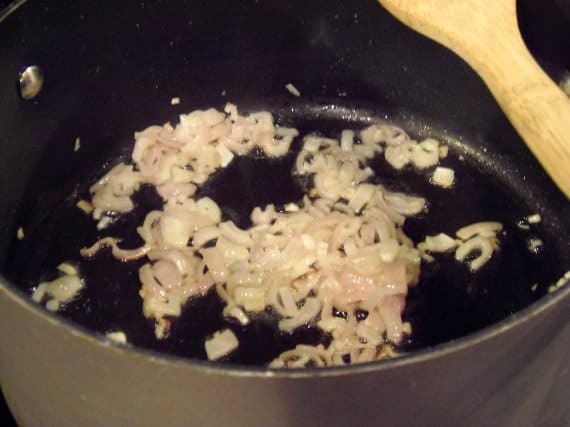 -Increase the heat to medium and saute the shallots until they begin to caramelize. 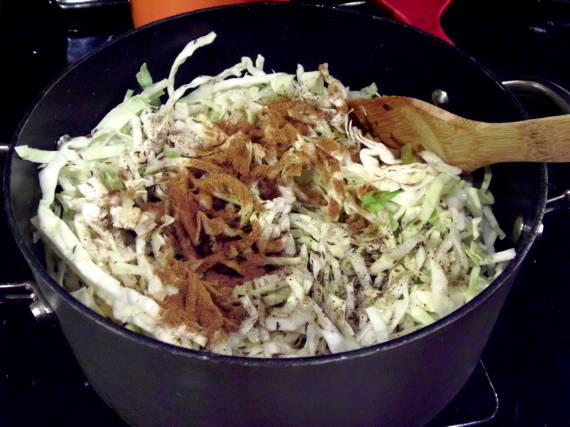 -Add in the sliced cabbage, salt, pepper, caraway, thyme and cumin. Stir to combine. 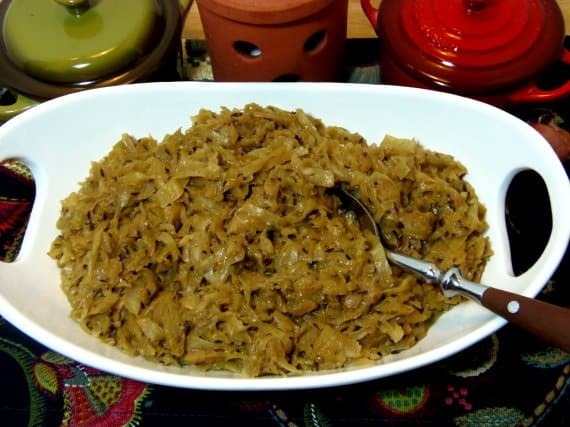 -Cover and allow the mixture to cook down (approximately 5-7 minutes) considerably. 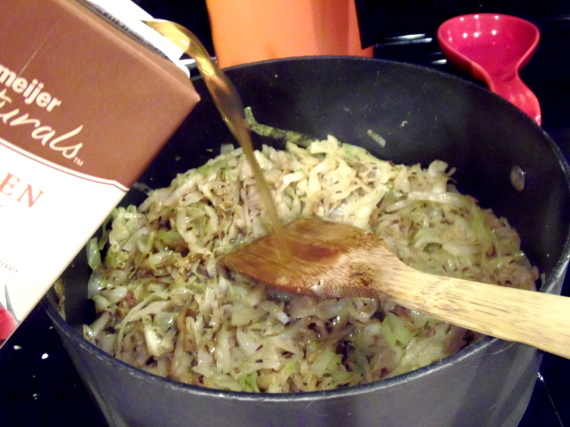 -Add the chicken broth and Dijon mustard. Stir. 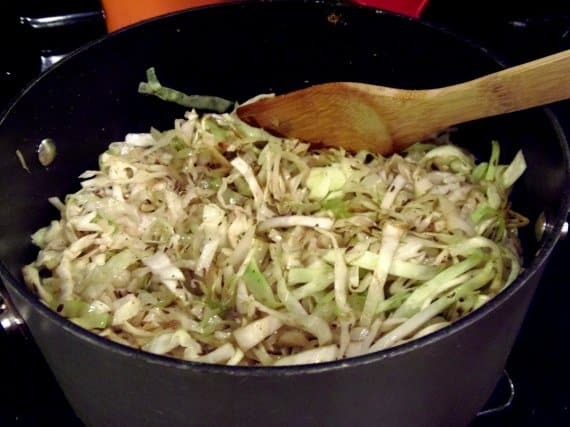 -Uncover and cook over medium heat, stirring occasionally until the mixture reduces and thickens (approximately 10-12 minutes). -Add in the brown sugar, half and half and the butter. Stir. 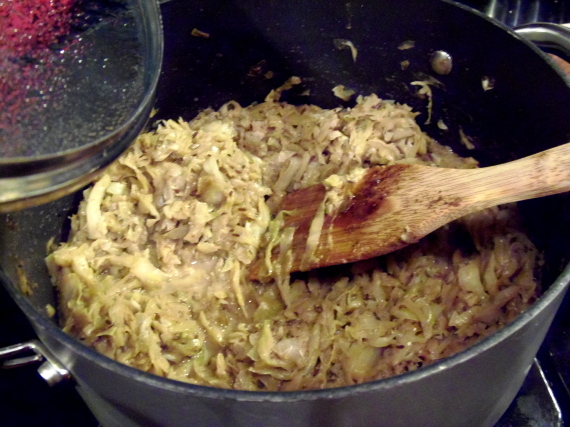 -Reduce the heat to low and allow to simmer for just a few additional minutes. -Check seasonings and add additional salt and pepper if desired. 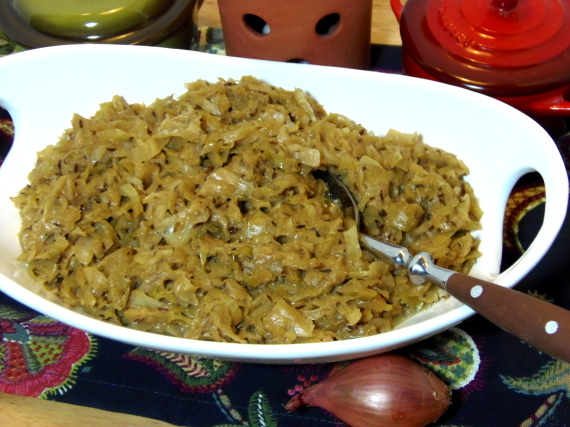 I served this side dish alongside some simply sauteed pork chops and dinner was done. This recipe comes in at roughly 100 calories (give or take a few) for 3/4 cup and was a lovely compliment to the pork chop. It was even delicious, cold, for breakfast as the flavors intensified slightly but in a mellow way. 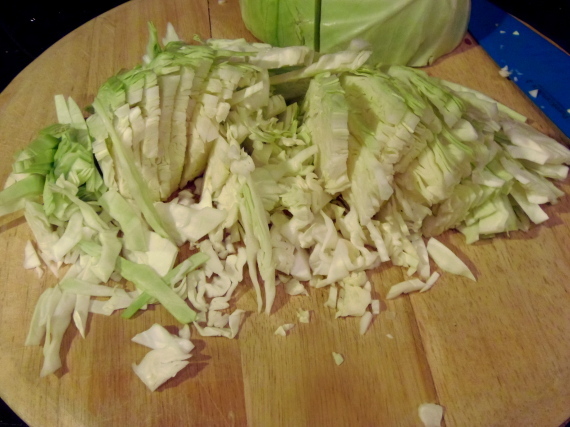 Not a harsh cabbage dish at all and one that I’ll be making again very soon. Until we eat again, be happy, be healthy! 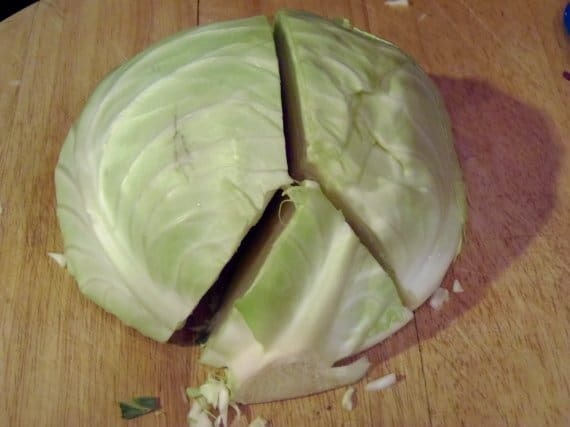 Honestly, I'm not a big fan of cooked cabbage. Love it raw (weird, I know). Having said that, the flavours in this do sound very good.